per-inquiry advertising to generate qualified sales leads. Through Target + Response, marketers pay for their radio advertising based on the number of sales leads (or inquiries) that are generated, regardless of the number of times the ad airs. Depending on your objectives, per-inquiry sales leads can be generated through a variety of advertised offers – a request for more information, a free rate quote, an appointment, or even a free trial. Our per inquiry advertising programs attain significantly discounted media costs for our clients. It’s common for Target + Response to get radio time at over 80% off the rates radio stations typically charge their biggest and most frequent advertisers. And you can enjoy higher-than-average reach and frequency levels too. Through Target + Response, a full national radio rollout can deliver over 25 million gross impressions a week. In addition to the directly measurable sales leads that result from the campaign, this exposure dramatically lifts consumer awareness of your brand and the success of your other marketing efforts. Top radio stations and networks rely on Target + Response per-inquiry advertising to help them make money from airtime that has gone unsold to “spot-buying” advertisers. Since 1987, Target + Response has been the most trusted source for providing radio stations with high quality, well-managed programs. 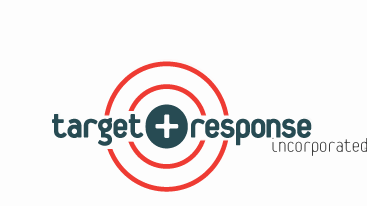 Because Target + Response per inquiry advertising generates sales leads risk-free, it requires less day-to-day management from our advertisers than traditional radio media buying and media placement strategies. And Target + Response generates radio per inquiry sales leads 52 weeks a year.